Moreover, there are also signs that the crisis may have had lasting effects on potential growth through its impact on fertility rates and migration, as well as on income inequality. Despite these effects, specific policies did have an effect on how individual countries fared after the crisis. Those in better fiscal shape, with better regulated and supervised banks, and flexible exchange rates generally suffered less damage. There are signs that the crisis may have had lasting effects on potential growth. 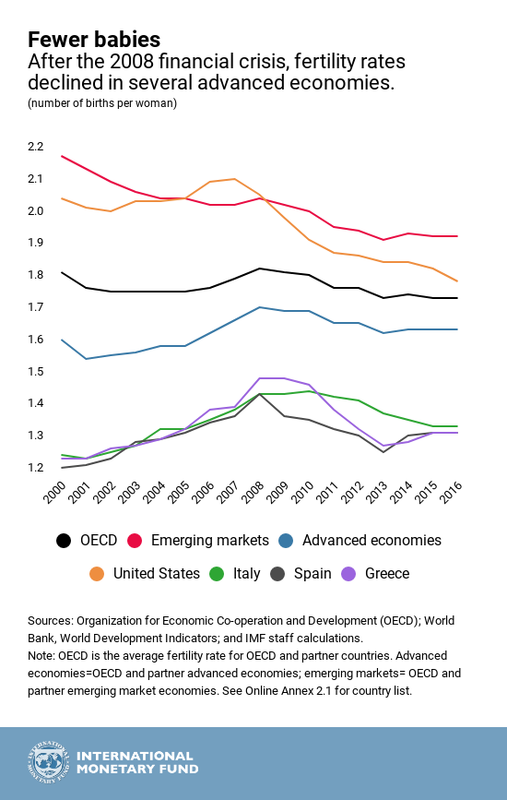 Our study looked at a sample of 180 countries—covering advanced, emerging market, and low income developing economies—to measure the decline in economic activity in the decade after Lehman Brothers collapse. While many economies saw output losses relative to precrisis trends, the postcrisis experience varied across countries. Advanced economies and commodity-exporting low income developing countries were harder hit than others. This variation partly reflected differences in the type of shock that hit individual countries. Some suffered severe banking crises as part of the global financial panic, while others saw weaker activity in advanced economies reverberated globally through trade and financial channels. For some countries, the output loss represents a correction from unsustainable precrisis paths. But the widespread pattern, spanning advanced, emerging market, and low income developing economies, suggests losses go beyond such corrections. Our analysis shows that the crisis may have left lasting scars beyond these well-documented effects on growth trends. For example, fertility rates have been on a steeper decline in many economies—a development that will drag on the size of the labor force in the future in those countries. Another effect is that net migration (immigration minus emigration) rates among advanced economies declined after the crisis. Moreover, income inequality appears to have increased, especially where output and employment losses after the crisis were large. In some cases, the postcrisis rise in inequality reinforced trends already in place prior to the crisis and has likely contributed to frustration with establishment political parties as well as protectionist sentiments. Country policies before the crisis and in its immediate aftermath helped shape differences in output performance. These actions influ­enced countries’ vulnerability to the disruptive forces unleashed by the financial meltdown, the damage they experienced, and their ability to recover. They can be grouped into three categories. Containing financial vulnerabilities: Countries with more rapid credit growth and larger excess current account deficits in the years running up to the crisis found these constraints binding them more tightly when financial conditions tightened after the crisis. Moreover, stricter curbs on certain aspects of bank activity in the precrisis years (for example, restrictions on banks’ ability to underwrite and deal in securities) lowered the proba­bility of a banking crisis in 2007–08. Buffers and frameworks: The evidence suggests that countries with stronger precrisis fiscal positions experienced smaller output losses in the aftermath. Our analysis also finds that greater exchange rate flexibility helped lessen output damages. Policies after the crisis: Several countries took unprece­dented and exceptional policy actions to support their economies after the 2008 financial meltdown. These actions—specifically, quasi-fiscal measures to support the financial sector, including bank guarantees and capital injections—helped temper postcrisis output losses. The policy efforts of the past decade lifted demand and they prevented an even worse outcome with deeper output and employment losses. Financial regulatory reform also made the banking sector safer. However, some of these policies had significant side effects. The extended period of ultra-low interest rates in advanced economies has contributed to the build-up of financial vulnerabilities, particularly outside the regulated banking sector. And the large accumulation of public debt and erosion of fiscal buffers in many economies point to the urgency of rebuilding those defenses to prepare for the next downturn. The ability to respond to the next crisis depends crucially on addressing such side effects of the exceptional policy efforts of the last ten years.